How much does Laptop Repair Cost in India ? Get Approx Rate. How much does the Laptop repair Cost ?? Question… Question… Question !!!! 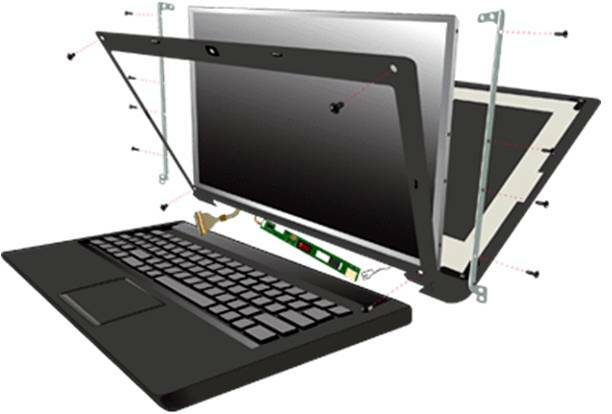 One day, I was working on a laptop and suddenly its fall from my desk, and its body broke in to too, after thinking a lot, I came up with another question, Should I fix myself or should I hire an expert? I personally advice you to Hire a Professional laptop repair person, Because firstly you don’t have experience of repairing laptops or do you want to acquire that experience ? If you hire a professional, Laptop repair cost you around 1500rs. But if you try to fix the issue, and you make a serious mistake, the final repair could cost you a lot more. Repairing a Laptop is more trickier than repairing a desktop computer. Frankly Speaking, Service from small business run by people is better than looking for Authorize Service Center, as it will charge unnecessary things and it consume a lot of time. Ask friends, relative, Search on internet for Laptop Body Fabrication and the name of your town. That small business will mostly buy the replacement body from online retailer Shantilaptop. You can contact on 8879192872 for the available models of the laptop as well as the service which they provide and at what price (Usually about 1500rs. ), Its a good idea to have the information on your call, so that its save your time to visit the store. Search on google for best laptop body fabrication, and you will get the best laptop repair cost of that on call. If you can’t fix it go for second hand laptop, if you can’t afford a second-hand laptop. Hello sir. I have a problem with my Acer laptop. The problem is, no battery backup, some of the keys in keypad are not working and one side of the joint( display and keyboard joining) broken. I want to know total repair cost for all the above problem.please let me know.